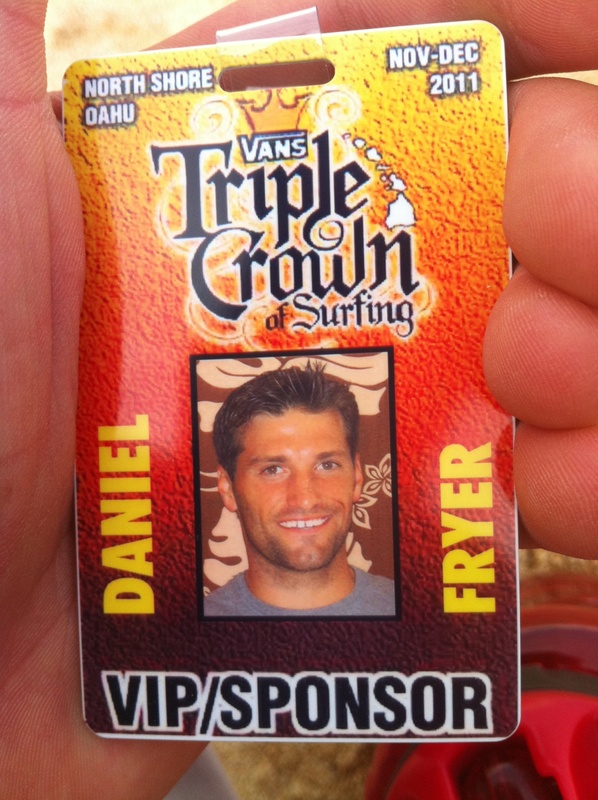 In October 2011 I moved to the North Shore of Hawaii to cover the Triple Crown of Surfing. Surfing and Photography have always been my passions, it was only a matter of time before the two came together. I came here with no experience in the field of water photography other then what I have idolized in magazines since I was a kid. Some how I gained a VIP access Pass to the Triple Crown, allowing me backstage and in the water at all the events on the North Shore. This is like being able to go on the field at the Super Bowl. Epic to say the least..
More then any thing I have tryied to remain humble and pass along the Aloha I was shown. I Love the ocean and the trill I get from it everyday. Don’t assume to know all the answers or where this will lead me but I’m having a blast. Epic win . Keep it up . Good Luck with your dream. You have worked really hard for this. Enjoy everyday of your life in Hawaii and with your surfing. No one knows how Hawaii will work out for you. Regardless of what happens, this is a turning point in your life. Depending on what transpires with your surf photog, one could define it as an epic fail. But the mere fact that you made it to Hawaii, fulfilling your passion, is a success in itself. Thats real. Have Fun! Kill it! Wrd!!! a friend just fwd’d a photo of me on your blog (last pic on the rocky point session, dec 4). i just wanted to congratulate you on the good work you’ve being doing so far! besides miraculously making my tiny wave look so big, you’ve made a bunch of beautiful, beautiful photos from the eddie ceremony, amongst others. you should have a bright future ahead of you. i wish the best of luck! Amazing photos – Best of Luck! luckiezz802well im gessing yea. i live in haiawi but not maui haha. but the waves get HUGE in wintertime. trust me i surf but not big waves haha. well yea but they dont get tht huge ne more..
nominated your blog for the versatile blogger award. Congrats on getting “Freshly Pressed”! Saw the new ones and was stoked because I saw one was about surfing. You have some great shots! Cool that you are also in Florida too. Instantly recognized the L.W. Pier. I am up at Ponce Inlet. Anyway, great shots! I have a lot to go through on your site. Cool! I am from Hawaii by the way. I did the opposite of everyone in the world. I was born and grew up in Ewa Beach and then moved to Florida in high school. Cool you got to be there for the Triple Crown! Congrats on the VIP and the Freshly Pressed! Are you from Cslifornia? I noticed the beach above and the Al Merrick… :). I’m a Santa Barbara native, have spent some good time with the Merricks, amazing people. Awesome! So glad to see someone from home on here. I’m teaching in China currently, but got to go home (HI, I’m a towny) during winter break. There were a couple days we drove up to NS and watched the daredevils surf. The Volcom Pro was going on at the time. Congrats on Freshly Pressed! As someone who grew up in Hawai’i, it’s great to see someone as passionate as you are about the sport and our islands. Much aloha. Thanks for the kind words and offering your favorite spot to me. I drove into Shelter Cove last year in the summer but there wasn’t any waves. I work on the road most of the year so a spring execution might be tough because it’s when I start to go back to work. But I will be well trained after the winter so I hope I can handle the size you are talking about. I’m well aware how big it can get and If I was to go with people I would have to feel a high trust factor. I have your hotmail email address and I’ll send you an email in a day or two to pick your brain about it. P.S. If you ever decide to shoot Baja let me know and I’ll share my extensive knowledge about the surf spots there.